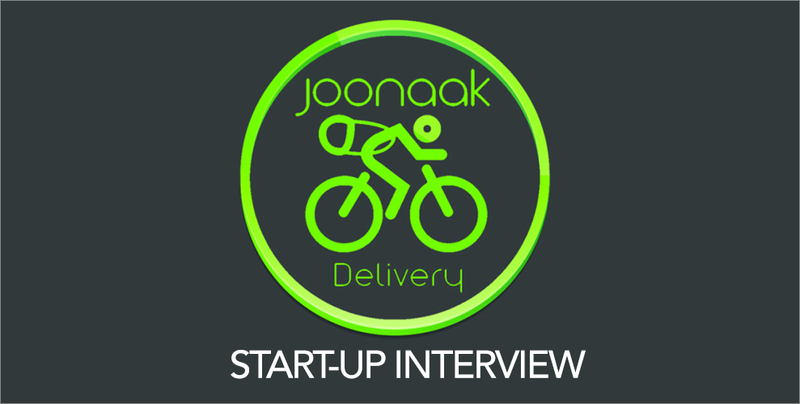 For those who have joined start-up weekend, Joonaak Delivery might not sound like such a foreign brand after all. Having won 2014’s edition of Startup Weekend Phnom Penh, Joonaak Delivery has come a long way in terms of providing their services to the local society and even changing the mindsets of traditional thinking right here in Cambodia. With a management team of 4, Joonaak’s founders has stayed committed to delivering humble and consistent services to their customers. Read on to find out how Joonaak has come so far and what they plan to achieve in the coming few years. This interview has been edited for clarity, flow and length. How did you feel when you got such a large amount of money invested into your start-up? JAY: At first, we were very happy, but the money didn’t stay very long. We had so many obligations, so many things that we had to fulfill in such a short amount of time. But it’s so rewarding to have something that was just an idea be turned into reality. Why did you decide to join start-up weekend? JAY: It was actually her idea. PUYHOUNG: Actually, we had an idea to create a startup, but we didn’t know where we should proceed with this, we had no direction. Then I saw the event promotion (startup weekend) on Facebook so I asked the rest if we should join just to know how we should plan the business and/or move forward with the idea. You guys are a team of four right? 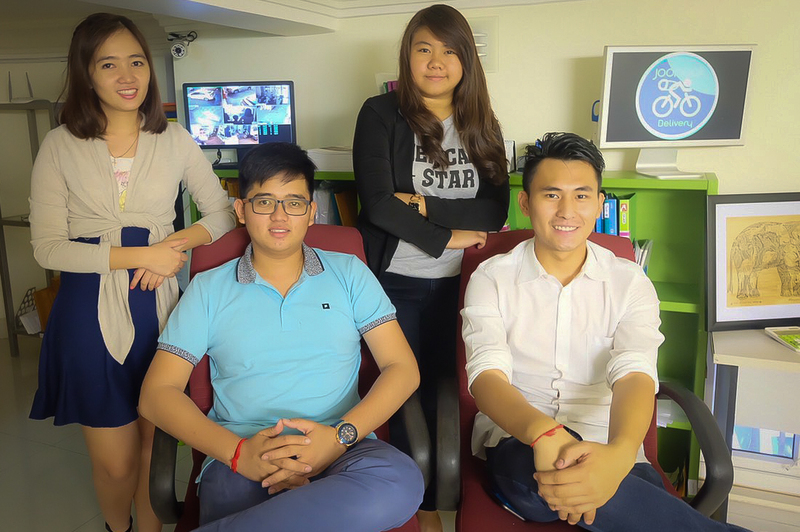 These young entrepreneurs are changing the start-up scene in Cambodia, and its distribution services as well! What did you do before your time got fully invested in Joonaak? What was your occupation, etc? JAY: I was a recent graduate but I’ve been working in marketing fields for the past four years, during my college years, and that’s pretty much it. DARAVIN: We are all recent graduates. Did you ever think that you would have become entrepreneurs? DARAVIN: I have always wanted to be an entrepreneur. PUYHOUNG: I plan to have my own business but I do not know where to start. So we became a team and decided that we should have fun with it. We had a common purpose so we started to build it up. JAY: For me, throughout college, I pretty much worked and worked and I was quickly promoted to Manager. Then I realised that there wasn’t much I could do outside the job scope of being a manager. Whatever you are pretty much told to do, you had to complete that task, you couldn’t tweak, you couldn’t change anything, especially in marketing fields, that’s when I realised that having something of my own is something that I can tweak and change it to my own liking. So I think entrepreneurship is the only way that I can fulfill what I have always wanted to do. Do you think a lot of young Cambodians are thinking like you? Or do you think it’s a very unique mindset? JAY: I have seen in a shift in the past two to three years. I think the international communities been really pushing the new generation of Cambodians to change their mentality of just being stuck in the status quo. So it’s obviously changing a lot. Then do you think that this is happening too rapidly that you will have a country full of startups, or do you think it’s happening at a really good pace where there’s a balance of office workers, and there’s a balance of entrepreneurs, do you think this will change? JAY: I think this is going to be a wave, once it starts forming, it’s going to be large. Once people start to understand what is entrepreneurship, what kind of amount of work you have to put in to achieve your goals, then the wave will start to settle down a little bit. It’s going to be like many people are going to want to become an entrepreneur, they are going to start joining such events like start-up weekend, and Barcamp. Things will start changing once they understand a little more, then okay, I better stick with my desk job, that’s what I think. So would you say this whole start-up business is like a trend now? Moving back to what Joonaak does, could you tell us more about what your company does? JAY: Joonaak, we focus on small to medium sized deliveries services and 80% of our customers are online retailers, about 20% are local import/export companies that have goods to NGOs, embassies, and we pretty much take care of small package goods, letters, and we could go up to the scale of big roll of cables, and animal medicine as well. A wide range of products. But how did the idea come to you, to start a delivery service? JAY: In the States, I was pretty much an online shopping freak. But moving back here, I’ve seen the growth in the e-commerce scene, but I’ve seen a lack of distribution. That’s a key thing. I’m seeing a missing piece in the puzzle and our team was just chatting one day and they realised, the food industry is missing food distribution, the kind of personal assistant type thing is also missing. So all of those ideas come down to one key thing, which is local distribution. When we joined Start-up weekend, the idea kind of just boiled down. How do you think your start-up will have an effect on the society at large? JAY: So far, we have seen bad and good about it. Society as a whole, people have huge criticism about you know, young people starting their own business, young people holding a lot of money but for the younger society, we kind of give them a push in the right direction. Something like “ask yourself, if someone else can do it, and you can do it as well”, we kind of put a good kind of push into the new mentality. For the bad side of things, in the younger crowds, sometimes they talk the talk, but they don’t walk the walk. So we will hear things like “why did you copy my idea, why are you stealing my ideas”. We don’t exactly stop you from forming your own company and to become our competitors, but some of these younger generations do not fulfill what they come out to do. So there is a mixed reaction from the crowd, both good and bad. Did you have any trouble getting the resources that you needed? Were there any major obstacles that you met with along the way? JAY: Mostly, it was funding and the support from family. Those were two things that we all had to overcome. Family members have always wanted us to study hard and get a job. We had to really convince the old mentality of our parents, so by winning start-up weekend, it gave us their understanding. Like “many people are actually supporting that idea” so they were okay, but not completely okay. Funding was quite hard as well because we had to go around asking for money from family members. We had contacts from investors, but most of them were international so we didn’t want international companies to be involved in us yet. So we kept it local. JAY: First of all, it’s based on the little experience I have in international investing, I was pretty much afraid of control again. As they come in, they have a big share of my board, as long as they have my vision, that’s okay. But if they do not have my vision, then the whole company would shift, that’s not what I want right now. In the future, if we develop more structure and become more standardized, then perhaps we will move on to international investment. I heard you have a mobile app coming out, how’s the development for that? JAY: It’s quite stressful, since we can’t test it real-time. Our developer is actually overseas, so they are doing the development at different hours with the daylight differences and all that. It’s quite hard to communicate and I have to stay up late to talk to them. But the process is going quite well, they have had many examples and live demos, so I could tell them what I wanted as well as the amount of money that we can afford. So when is this expected to launch? JAY: It’s expected to launch in June this year. We won’t have a big event to launch it as we have spent a lot of money on it already, so we are just going to do network marketing again. Like just going to friends and families, social media is going to play a big role in the expansion. Do you have any significant milestones that your company has achieved? JAY: For the first year in our business plan, we were expecting to have around 20 partners, but as of today, we have 55 partners, 10 months from the date of launching. The expectation of partnering blew through the roof, we didn’t expect so many at all. But this also brings many challenges with it. For example, we were not prepared for big scales of delivery, so we had to hire faster, we had to prepare our vehicles faster, the training process needed to speed up. It’s a lot more pressure, and a lot more responsibilities. For example, invitations from embassies, for other non-profit, you have to distribute it on time, we had to put in everything to complete each task. How do you ensure that each parcel is delivered to its intended recipient? JAY: Let’s say the product is already at our head office, first thing, we call to confirm that that parcel or package has the right number, the right phone number, we greet them and to ask them if they have an order from whoever, etc. They then give us the address to deliver it to and then before we leave, we call them again to make sure they will be there to receive it. Afterwards, when we arrive, we will call them once more. To ensure this, we make sure that we do not waste precious time to go around and move around a lot. This isn’t America, you can’t just go up to someone’s house and drop it off, I mean, that would be ideal, but that’s not going to happen for a while. Do you experience any problems with your transportation team? JAY: I think most managers or directors or anyone in leadership positions just sit in their chairs and point their fingers. For me, I do everything. If there is a delivery that I can do, I will help. If you show them that you care, just by helping them load their motorcycles, or even with simple paperwork, once in a while treating them cold drinks. It’s all about giving back. So far we don’t have much problems, most of our staff are either in college or recent graduates, so they are actually searching for what they want to do, and for now they can work here to learn and gain new skills and knowledge. Most of the time, I invite them up into the office to learn about what we do and to overlook and learn. Do you support cash-on delivery? JAY: Yes, we actually support that service for free, because the liability is a lot higher, we kind of have an edge for that. People here, they do not want to pay anything extra, so we put more responsibility and more liability onto our company in order to achieve this. What are some future plans that you have for Joonaak? JAY: The future plan would be prioritizing the mobile application development. And we are working on the idea of a client portal. Meaning an online website where they can track their parcel delivery status in real time. So for example, has the parcel been confirmed for delivery? Has the product been delivered? When’s the bill supposed to be to paid, so that’s something they have to pay in real-time. Will your company stay on focusing on making small to medium sized deliveries? JAY: Well, we are going to start off with small and medium, and as the market grows, we’ll expand and grow with it, we won’t move away from the important key point that we believed in the beginning. That it is important to keep our customer close, we bank on customer service. So when they call, they will, for sure, reach a person. So we will expand based on the market, so if a company contacts us, to take care of their online delivery, of course, we will take that opportunity but so far, we actually have many big online websites contacting us, but we have not accepted any. Would you consider competing as a start-up on a regional level? JAY: If the opportunity arises, probably, but not right now. We have so much on our plate right now. What do you think about events like start-up weekend? DARAVIN: I think the event is good for people who want to be entrepreneurs because they can share their ideas to the judges to comment on their ideas to see if it is good or not. They can verify it with them. PUYHOUNG: They also provide materials and tools that will help greatly in pushing people in the right direction, however, there’s a little thing that needs improvement though. It’s a little hard to have competitions with only 3 days, because it’s hard to wrap up everything that we need to present, like our business plan and other paperwork. And since there are so many teams, I would suggest to have more mentors as well. JAY: These type of events will provide people with the opportunity to talk with the judges and the mentors to learn more about the industry and how exactly it will work. You get to understand what it is like to be up there already. JAY: Don’t second-guess yourself. That was my problem and most aspiring entrepreneurs. They second-guess themselves and they just go down. DARAVIN: If you have never done it before, go for it and never give up. PUYHOUNG: Improve yourself from each day to each day; compare yourselves to who you were from yesterday and not others. Bonus: Jay came back from the United States after completing his education to give back to the country, see what he has to say below. Why did you decide to come back from Seattle? JAY: I went to Seattle when I was 16 with my parents. I have met many local people who were born here who got an education over there and decided to stay there. But I did not want to be one of them. It’s too much value to just give back to an already developed country, they already have enough talent, enough structure, they don’t need one of you, so come back, that’s what I believe in. Because after my senior year, I actually got a fulltime job offered at AT&T, I decided to give it up, because it wasn’t what I wanted to do. To find out more about what Joonaak can do, visit their Facebook Page here and their website here.